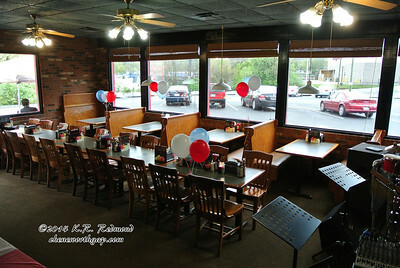 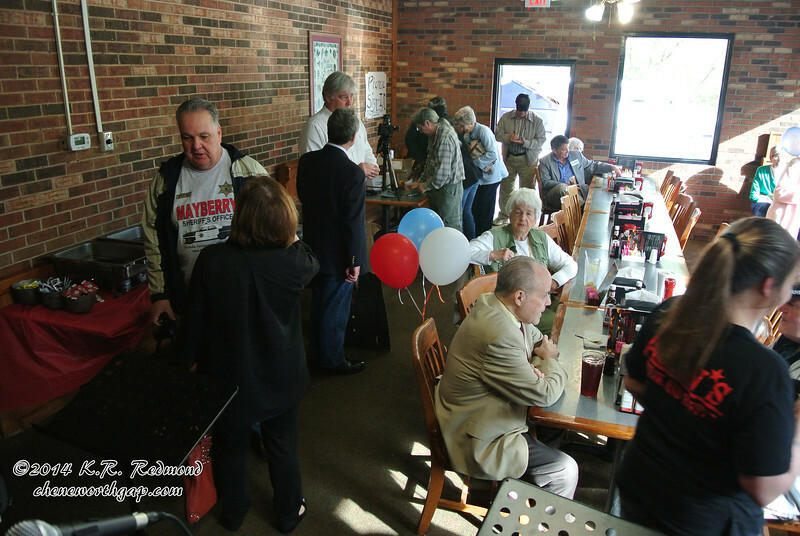 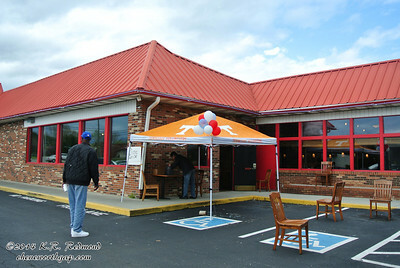 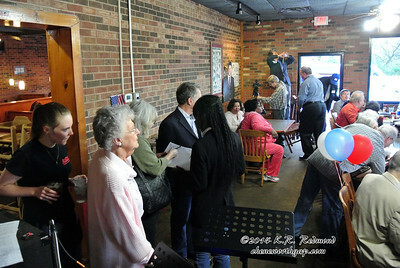 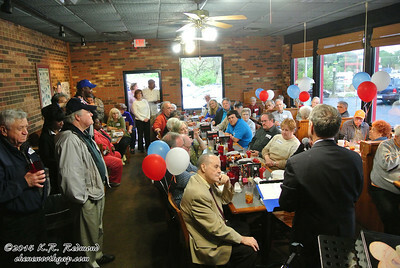 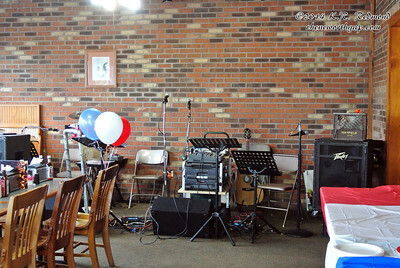 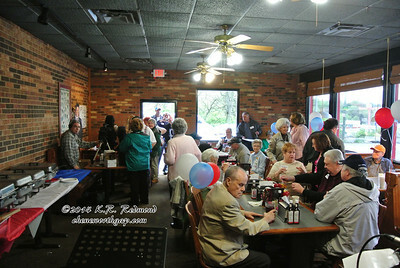 Bill Owen held a campaign kickoff picnic at Austin's Steakhouse and Heart & Soul was invited to entertain. 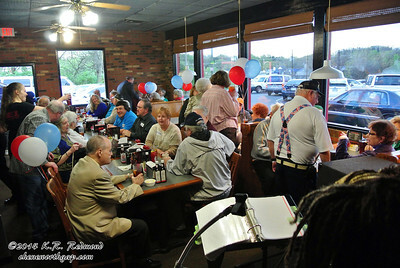 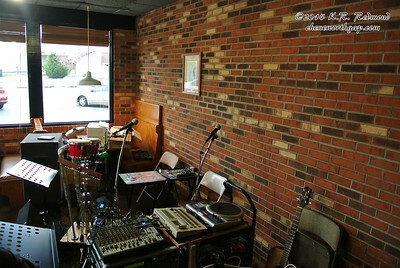 The standing-room-only crowd enjoyed the show and we got some wonderful compliments. 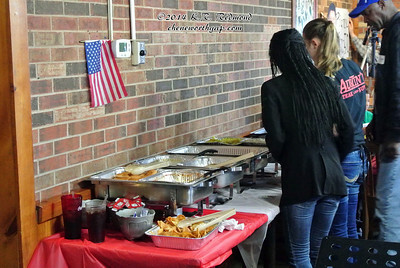 that didn't last long after a high wind came along at Bill Owen's campaign kickoff picnic for Tennessee Democratic Party State Executive Committee. 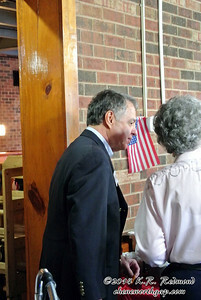 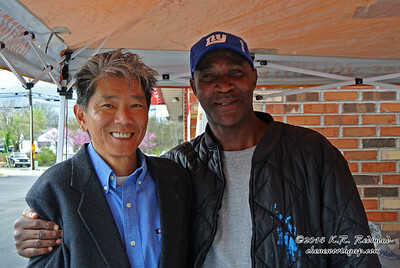 Dave (right) and the gentleman whose name I didn't catch were a big help at Bill Owen's campaign kickoff picnic for Tennessee Democratic Party State Executive Committee. 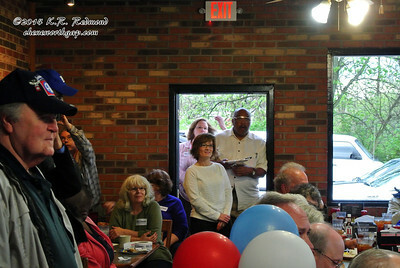 Cheri Siler, candidate for Tennessee State Senator from the 6th District looks on from the door.